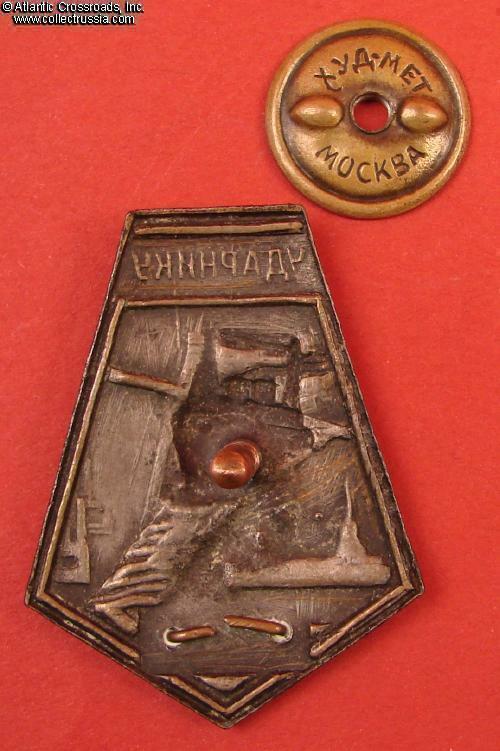 Badge to a Shock Worker of MVS (Moskva - Volga Canal Construction), 1930s. 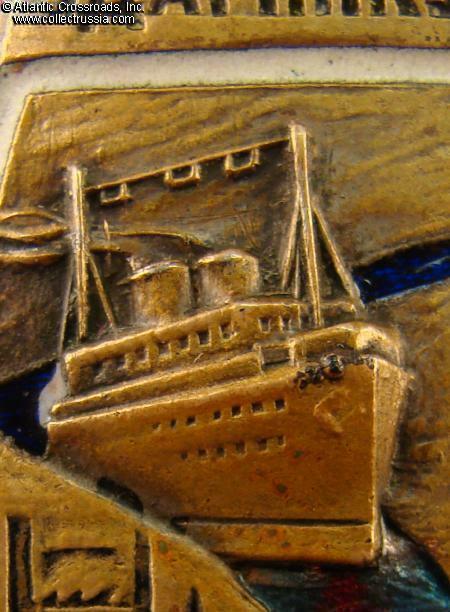 In brass-plated and silver-plated magnetic steel and enamels. Measures 39.8 mm in height, 30.4 mm in width at the widest point. 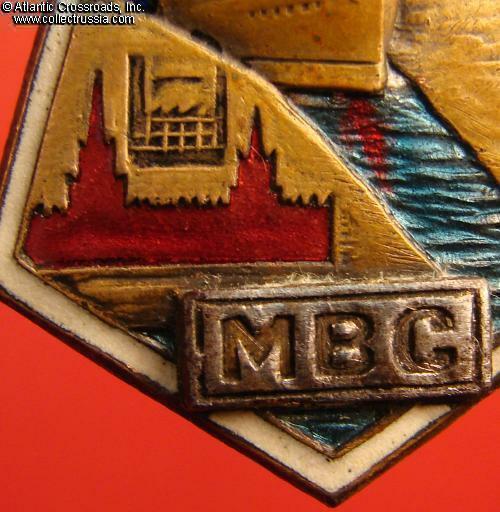 Two piece construction: the plaque with letters "MBC" ["Moskva River - Volga River Canal Construction"] is a separate, superimposed part attached by wires. 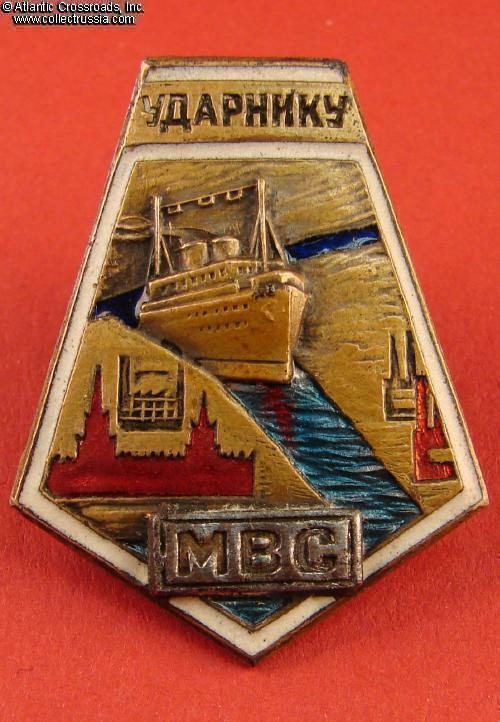 Shows a merchant ship coming through the sky blue canal, with red silhouette of Kremlin below. Blood-like red smear in the river is integral to the enamel although this was not officially a part of the design. This factory error has been observed before on these badges and seems appropriate for them. In excellent condition. 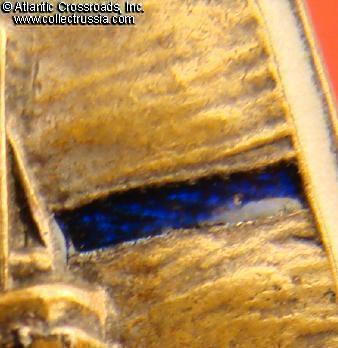 The enamel is beautifully preserved retaining all of its original translucency and luster. Raised details including the sculptured bow of the ship are exceptionally well preserved and crisp. Some of the original silver finish is visible in the crevices creating attractive shadow effect. The silver finish on the reverse is almost pristine. 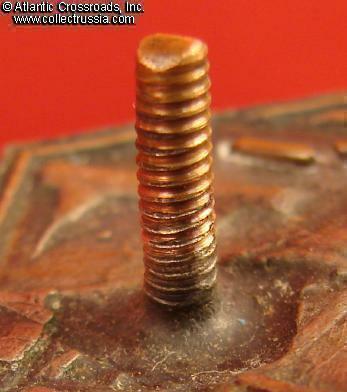 The copper screw post is original and full length, measures approx. 11 mm long. Includes original screw plate maker marked "Khud. Met. 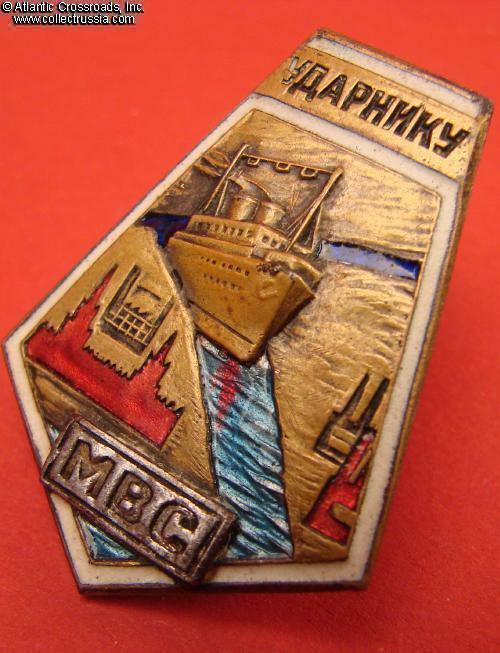 Moskva". The canal was one of the most publicized of the Soviet 1930's industrial projects, both in USSR and abroad, and also one of the deadliest. For detailed account see Solzhenitsyn's "Gulag Archipelago".